Dicentra is a genus of 8 species of herbaceous flowering plants in the family Fumariaceae, native to Asia (one species) and North America. 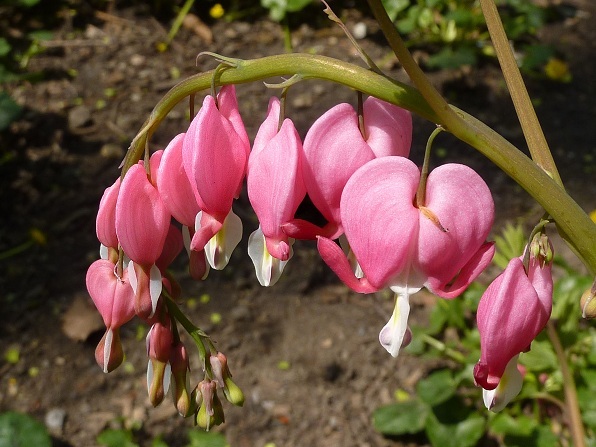 The common name, bleeding heart, is used for many of the species. This name comes from the appearance of the pink flower, which resembles the shape of a heart symbol ♥ with a drop of blood descending. All parts of this plant are poisonous if ingested.